Two Peas in a Blog: Why you need a bucket bag. Meet my new obsession…the bucket bag! I've been wanting one for months and finally bit the bullet and bought this beauty during the Nordstrom Anniversary Sale. I love the lighter color (it comes in 3 colors), and the chain strap that can be long or short. And of course it has the signature Rebecca Minkoff tassels!! I'm not one to change my purse on a daily basis. I usually buy purses in a neutral shade and they already match my outfit. It's just easier for me than switching everything I carry in a purse to a new purse everyday. And I carry a lot with me! I do switch purses for special events or a night on the town. This is why the bucket bag is the perfect bag. Reasons why you need a bucket bag. 1. Its a functional bag that can be carried multiple ways but still looks polished. It's not structured like a satchel and not casual like a cross body. It sits somewhere in the middle being casual yet chic. 2. Its moveable shape allows it to be roomy with being oversized. I love my large totes, but sometimes they do get in the way and are hard to carry. This bucket bag easily holds all my things. 3. It can be worn with anything. I love it paired with my distressed denim above, but it also will look fabulous with my jeans this Fall or even a dress. The leather and chain strap works with both casual and dressier outfits. A total win! The original bucket bag is the Mansur Gavriel and they are beautiful, but the price starts at $485. and they are sold out and hard to find. Luckily bucket bags can be found at almost any price point and just about in any store. We are starting a Tuesday Fashion Party link up. It starts next Tuesday. 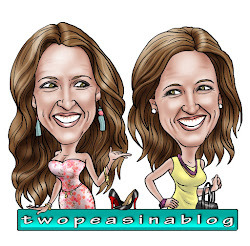 We'd love you to stop by, add your post and check out some other great bloggers. Sierra, Yes you need one. I'm so glad I finally bought one. I love it and don't regret the purchase at all! 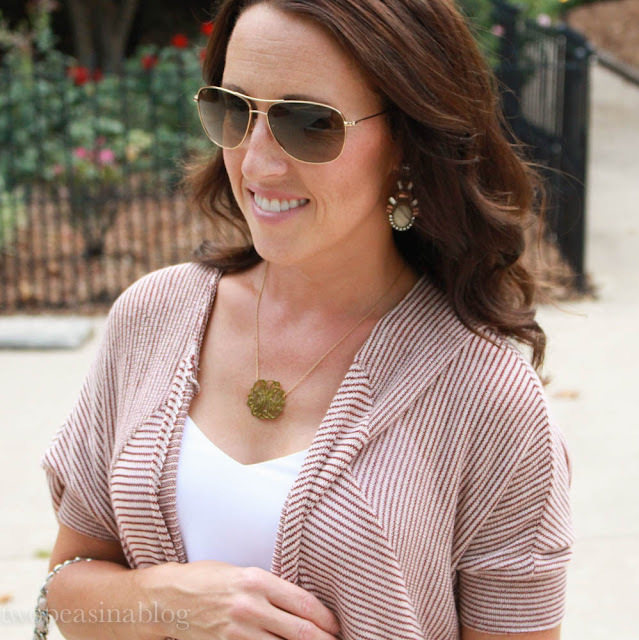 The cardigan is perfect for summer and will wear well into Fall! Susan, The chain handles and the signature tassels are what sold me on this bag. Its a great quality too.